The Colorado Avalanche will host an outdoor game during the 2015-16 season as part of the Coors Light NHL Stadium Series, it was announced today by the League. The Avalanche will face off against the Detroit Red Wings on Saturday, Feb. 27, 2016 at Coors Field. 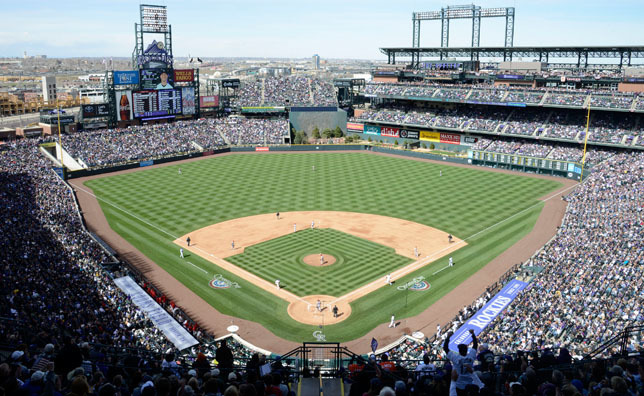 It will be the first-ever NHL outdoor game in the state of Colorado. “We are incredibly proud and excited to be hosting this extraordinary event,” said Avalanche President & Governor Josh Kroenke. “The Coors Light NHL Stadium Series has been very successful, and we are honored to be part of it. We would like to thank the National Hockey League for selecting our organization. I’m especially happy for Avalanche fans, who have been instrumental in our team’s success since arriving in Denver. “The outdoor game will be the headline event of our franchise's 20th anniversary season in Colorado, with many other great events planned throughout the year,” added Kroenke. The Coors Light NHL Stadium Series, which began in 2013-14, is a group of NHL regular-season games planned for outdoor locations throughout the season. Further details, including ticket information, will be announced at a later date.